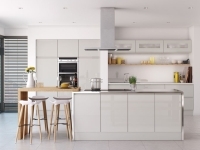 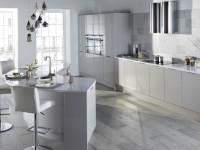 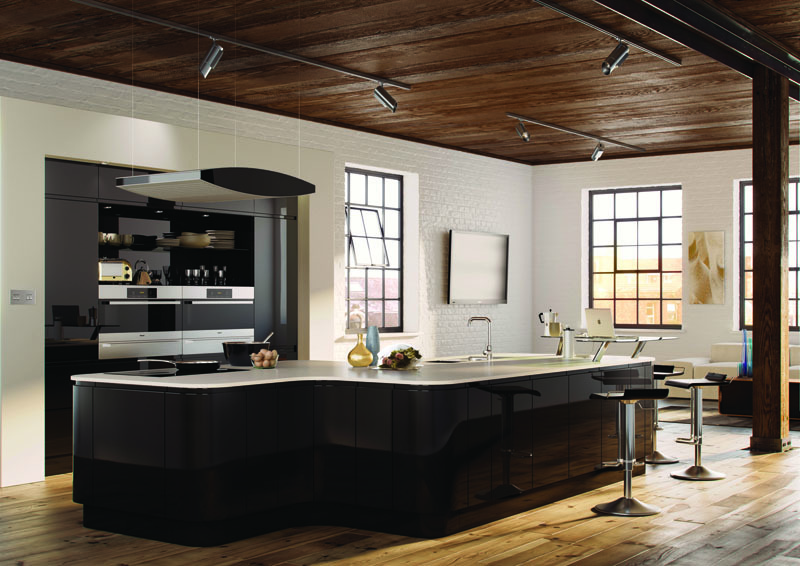 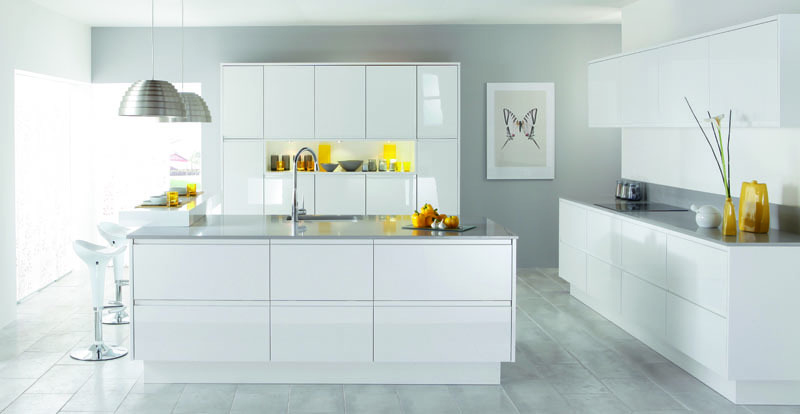 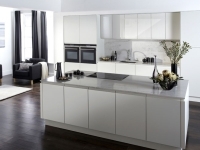 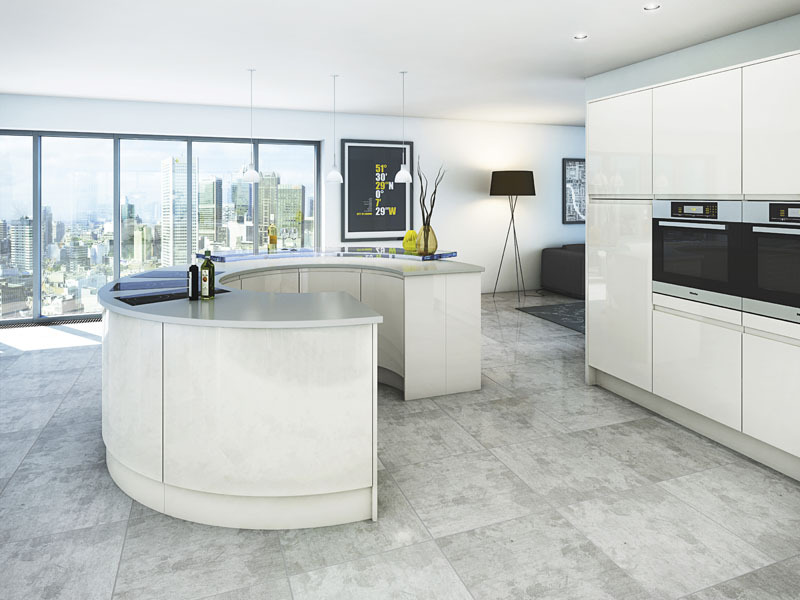 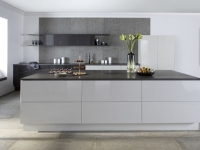 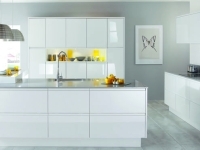 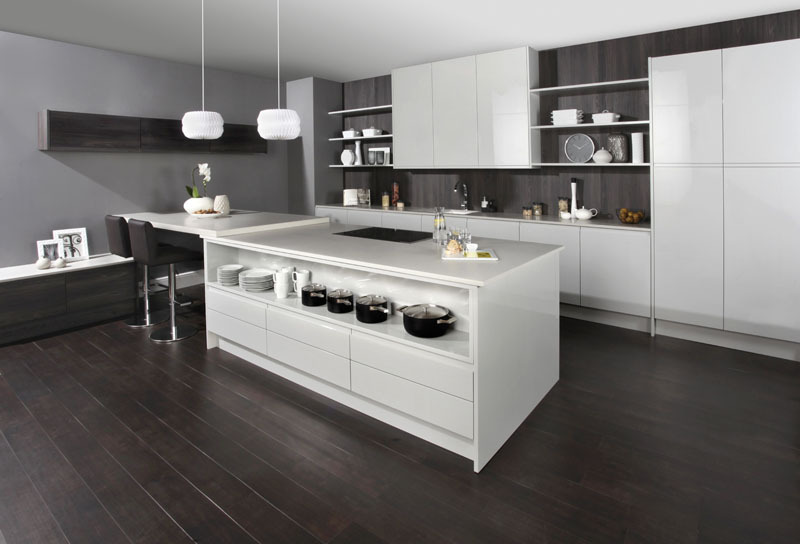 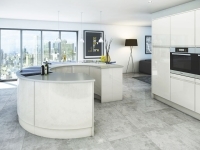 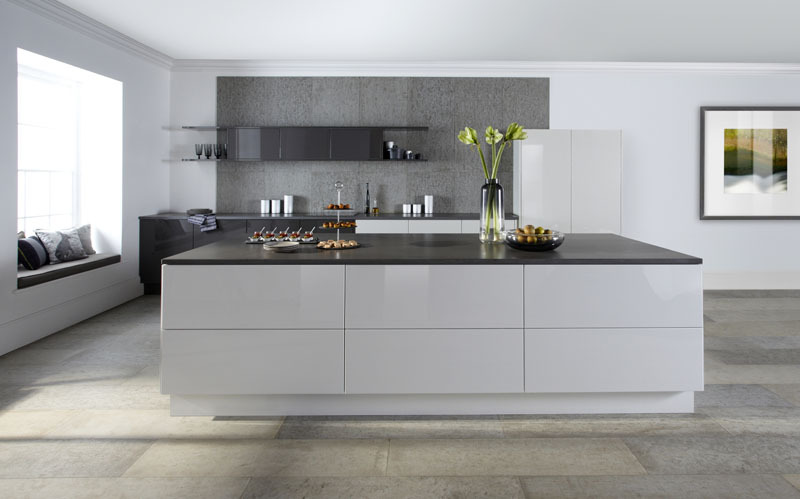 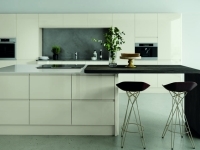 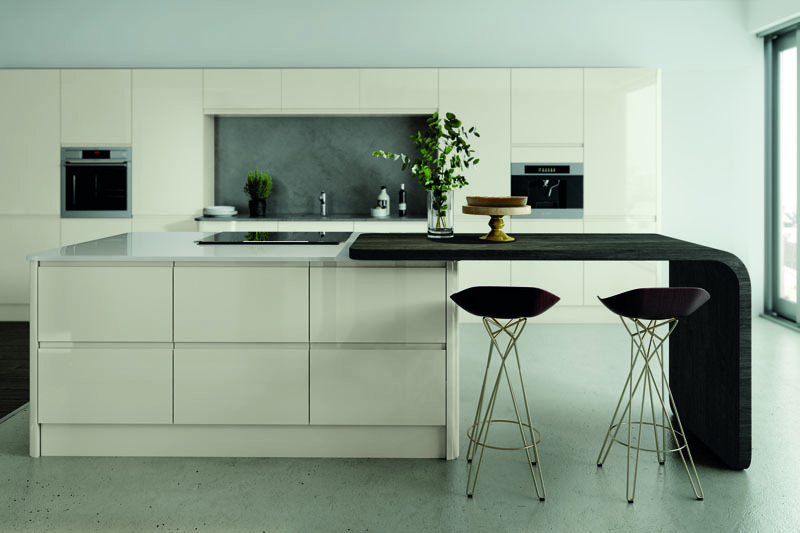 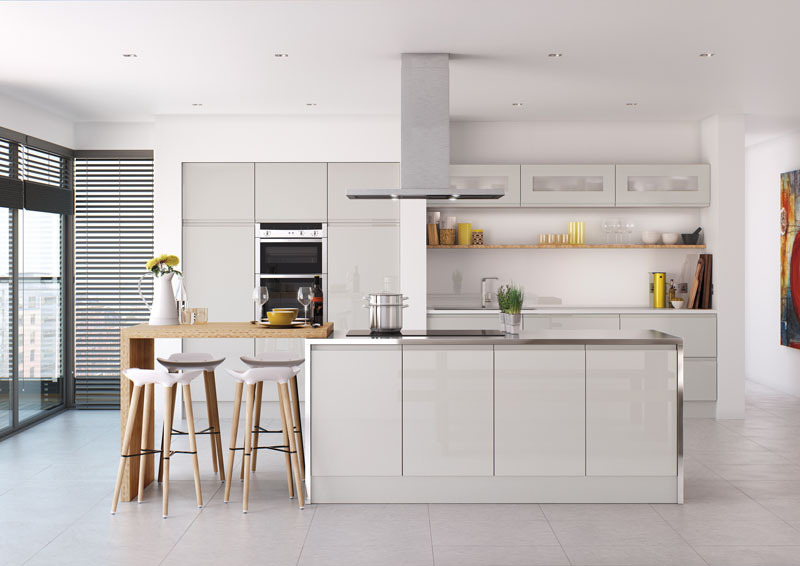 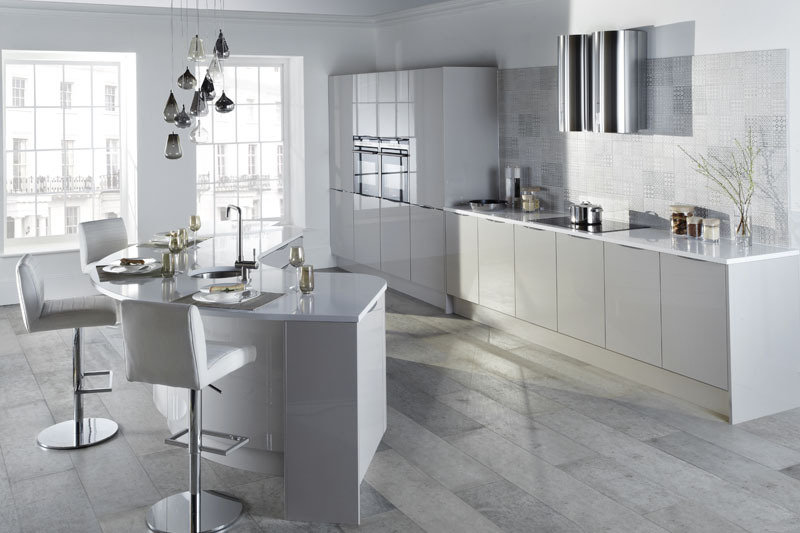 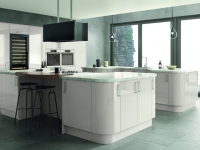 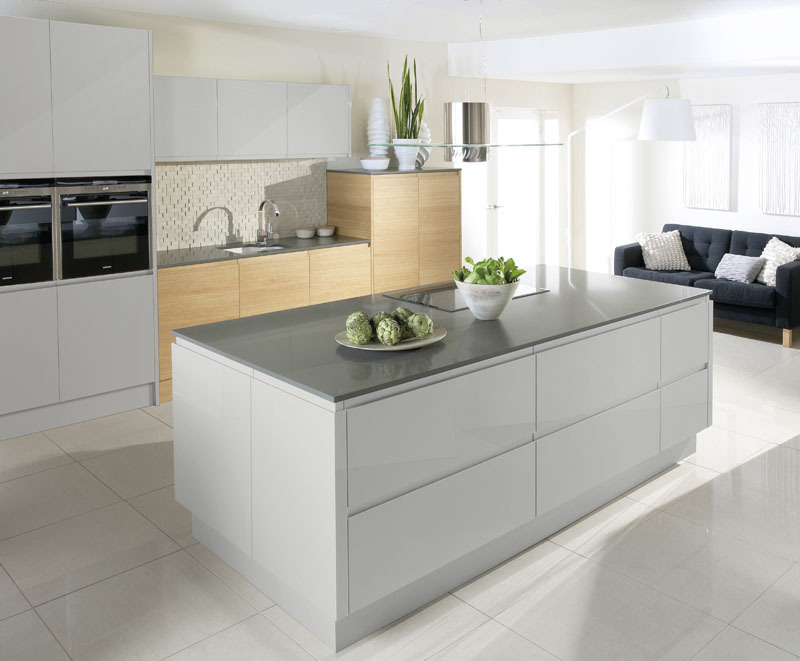 Here at M&S Interiors we have a superb range of high gloss kitchens to choose from. 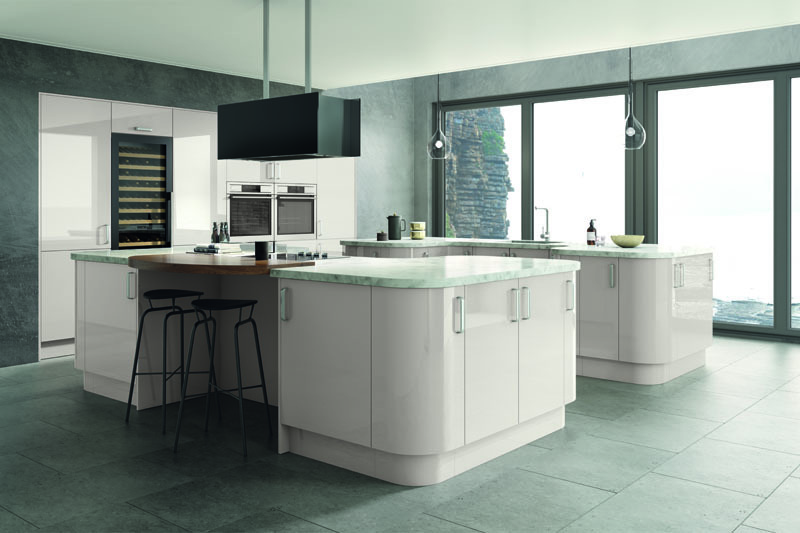 Whether you are looking for black, white, cream, blue, anthracite or maybe something different from the “run of the mill”, we have a great range of different colour options. 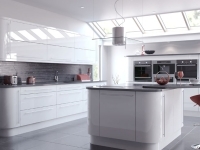 We can create your own individual kitchen design using these high quality gloss units, if you fancy something different, not only can you have the standard units but we can provide you with concaved or curved units to make your kitchen stand out and make a design statement. 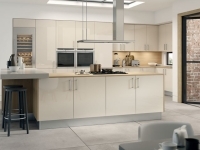 Our units are designed to withstand the rigours of everyday use and are made to last many years. 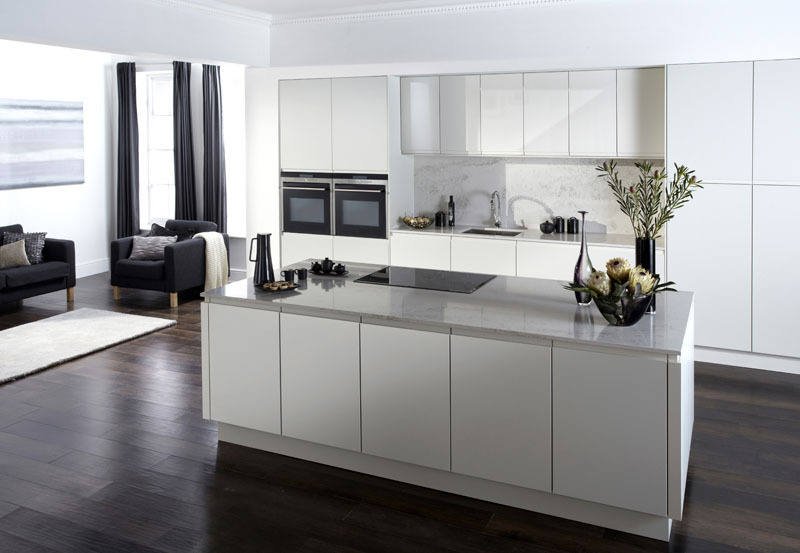 Our units come with soft close door and drawer systems, our handle less range give that ultra contemporary look and feel. 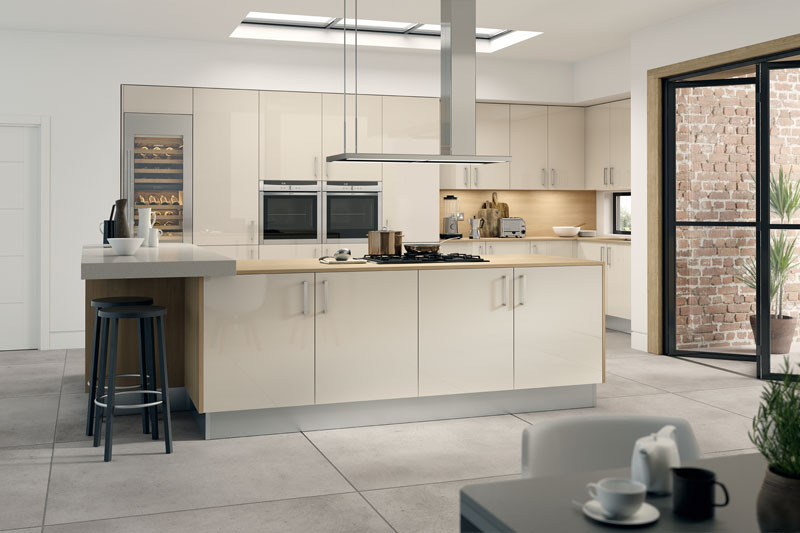 Once your M & S kitchen is installed you will be able to fully appreciate the real beauty of the high gloss look. 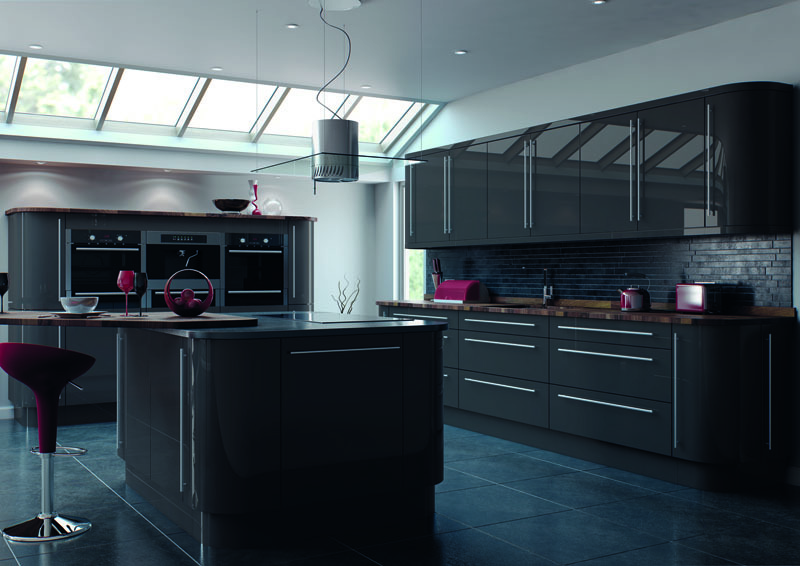 Its appeal is in the polished lustre of the doors and the smooth finish. 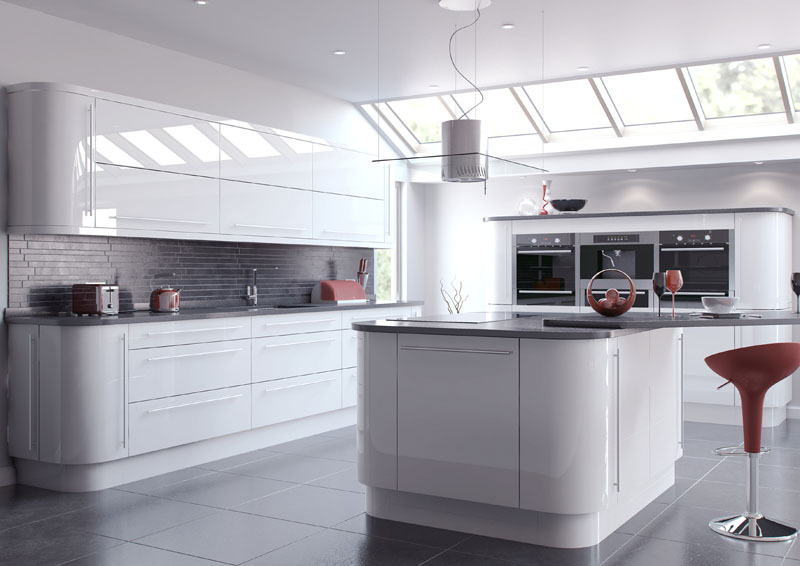 The reflective nature of the high gloss is great for bringing natural light into your room, giving it a bright airy feel. 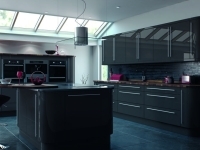 Come and talk to M&S Interiors today about your new High Gloss Kitchen.